A few weeks ago, I receive the Science World magazine (from the Scholastic) that I use with my grade 8 students. 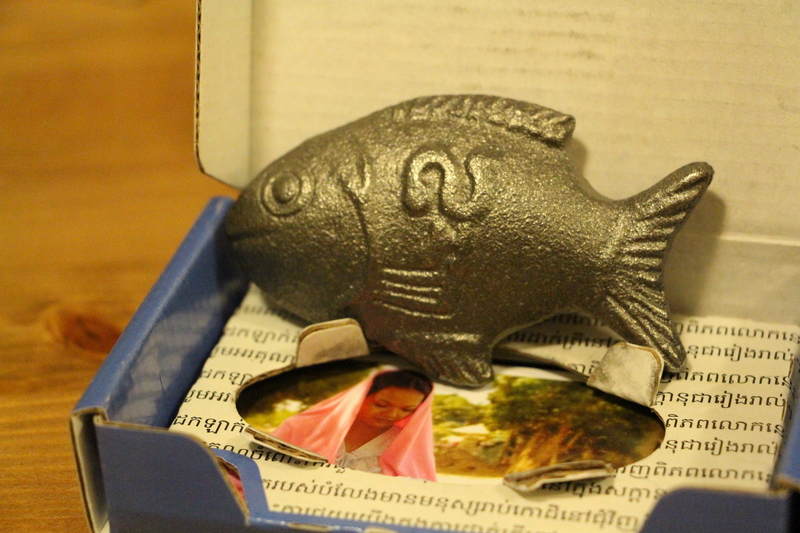 I fell upon a short article about a fish made out of iron that had been created by a Canadian to help remedy anemia in Cambodia. Useless to say, I was flabbergasted. Not only is this idea super simple, it’s also apparently super efficient: by releasing 70ug/g of easily absorbed iron into food, this little fish is helping people get their daily iron intake. Of course the vegan in me was immediately hooked. The fish comes with little explanatory cards. Growing up, I have always surfed on the verge of anemia. Of course, since I became a vegan, this has been a concern. 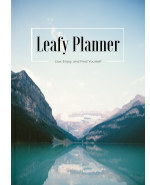 I have recently integrated a lot more dark leafy greens to my diet, and this alone made a huge difference. 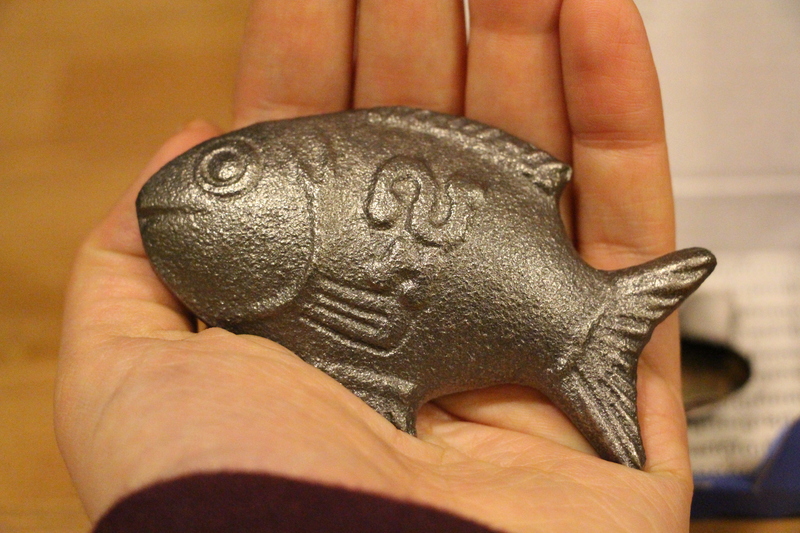 I still wanted to try out the iron fish… and I received mine a few days ago! How exciting! So watch out for the upcoming posts as you will be subject to my frenetic testing of the fish! Oh and for those of you who were wondering, my students really enjoy reading about this! They too were amazed by the simplicity of this invention. And yes, I did pay for this on my own. 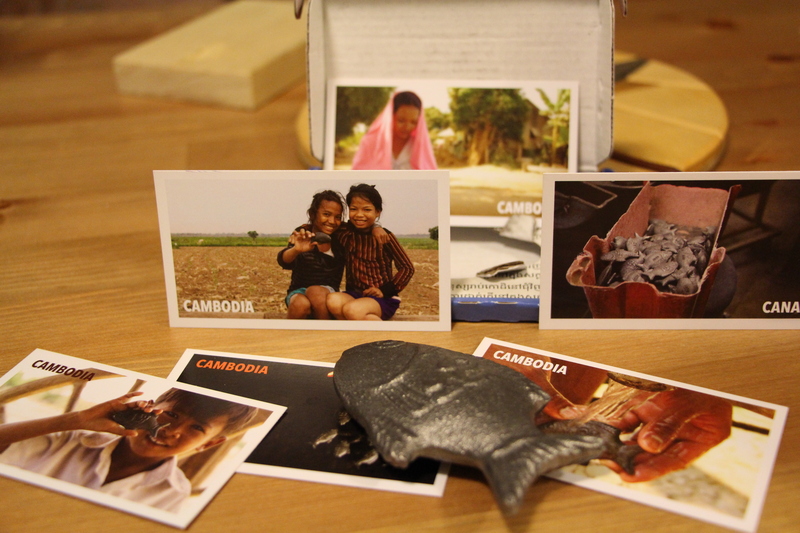 However, for every bought fish, they give a free one to a Cambodian family! How amazing! Darling? How simple and what a ciute way to do something so important.